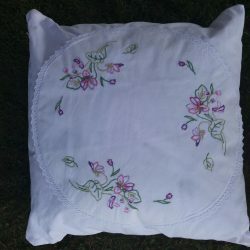 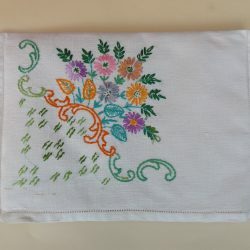 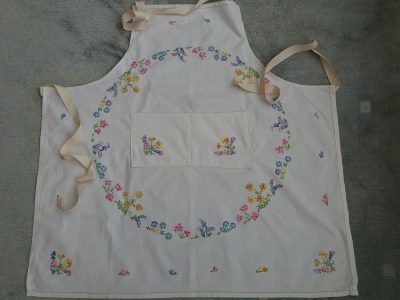 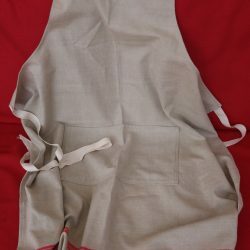 A very beautifully embroidered apron made from a vintage Tablecloth. 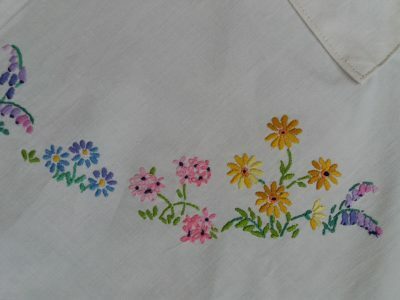 Split pocket on front (made from the cut-out corners). 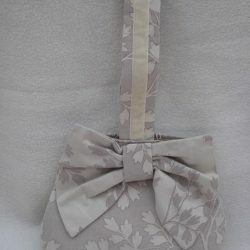 Cream waist ties and neck tie with D-rings adjustment.